Rhubarb and strawberries on the farm stands are a beautiful sight of spring through summer. I could not resist picking a batch of each. Life is delicious, and these are a few things that remind us that some things in life are more delicious than others. 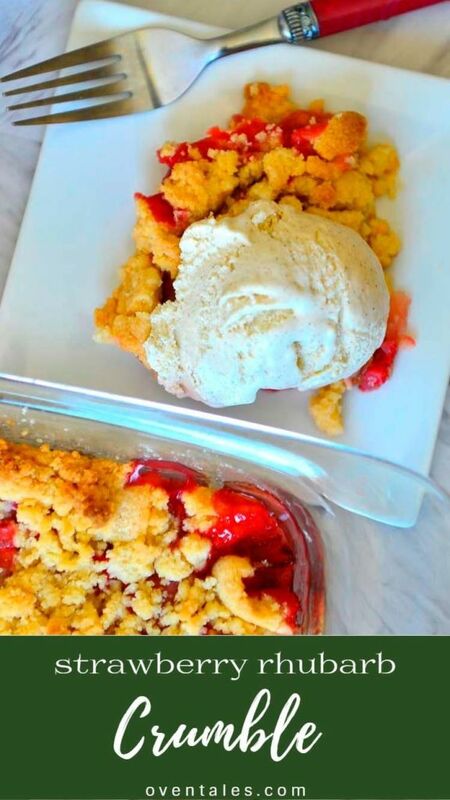 It goes without saying that Strawberry Rhubarb Crumble is one of them 🙂 . Spring and summer are meant for outdoors. It also means casual , easy dining. I tend to cook less, or cook outdoors. In fall I look forward to the cooler weather and will happily heat up the oven many more times. So chances are these same ingredients will be happily piled inside a pie, today these are thrown together into the pie’s rustic cousin – crumble. 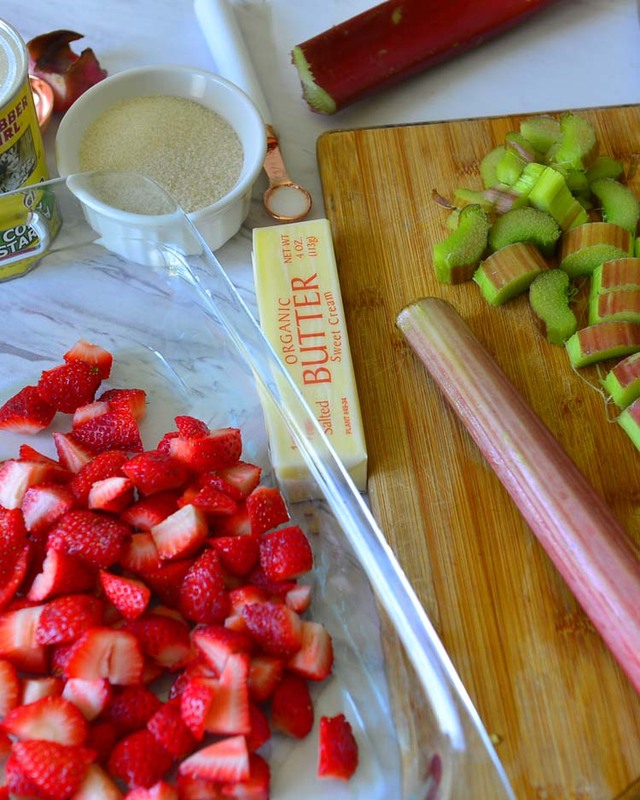 Rhubarb is said to have originated from western China and nearby regions. Often cooks refer to it as a fruit, but is the stalks of the leaves that are used in cooking – so technically it is a vegetable. The leaves of rhubarb are toxic and not to be used in cooking. In other words if you find rhubarb with leaves, say grown in your backyard or fresh from the farm stand, make sure to trim these off before cooking the stalks. How do I describe the taste of rhubarb – it is tart, quite tart actually. A tart vegetable does not do it justice, there is so much more flavor in it. There is the visual appeal of course – the field grown rhubarbs are usually very pretty bright pink – almost red color . While the hot house varieties are a little paler and has much less flavor. That does not capture it either – care to help me describe it better ? 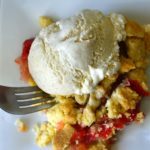 How do I choose rhubarb ? The color is not an indication of flavor , but to be honest I do tend to pick the deeper colored stalks when I can. Buy them fresh in spring to early summer and yes you can chop and freeze them for year round use. The tender stalks have much more flavor than the mature ones – so look for smaller leaves (if present) or stalks that are about 1 to 1 ½ inch wider – not any large. These are tart – so when making desserts one has to add a lot of sugar to balance the acidity. Fortunately it pairs well with another spring , summer favorite – strawberry. 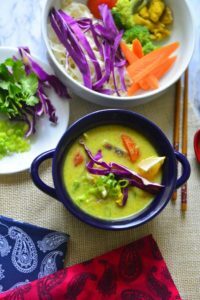 The colors match, the flavors complement each other and both are absolutely delicious . 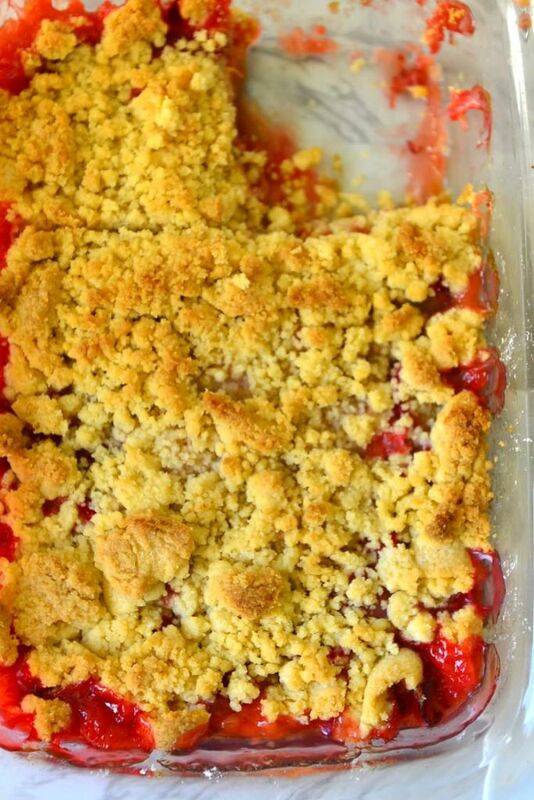 And that is what we have today – strawberry rhubarb crumble. Chop and pile on the fruits in a baking dish. Add sugar/spices/thickener as needed . Top with a rustic topping. Bake till the fruits are bubbly and the top is browned ! The topping I used here is made with plain flour (AP / Maida), unbleached of course. 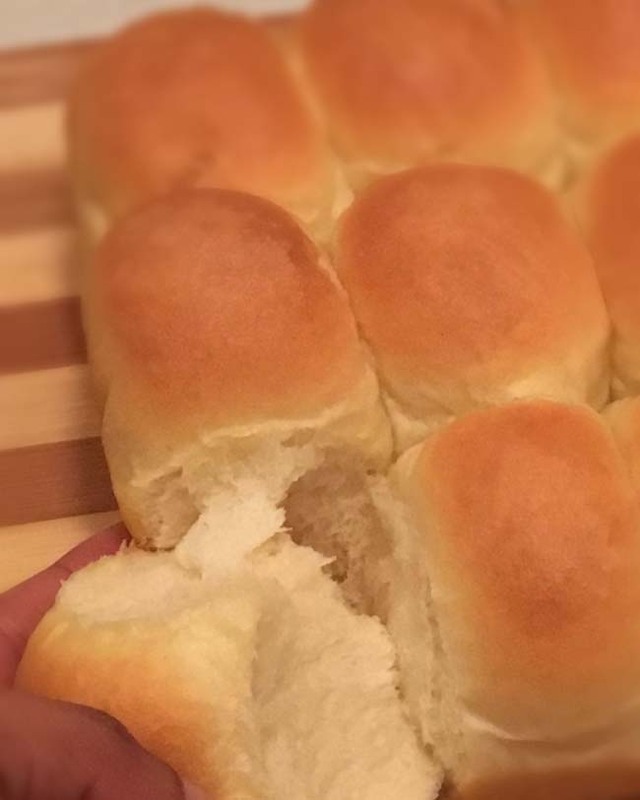 But you can easily make it with 50 % WW flour or a mix of flours. If you are gluten intolerant , make the topping with nuts/oats/ or your favorite gluten free baking mix. 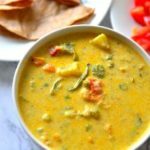 If you are vegan replace the butter in the topping with coconut oil or other vegetable shortening you like . Now if you are allergic to fruits , I am afraid I can’t help you. Oh wait , rhubarb is a vegetable , so just chuck the strawberry in the recipe. If you are allergic to vegetables – well ignore the rhubarb ..
See there is something for everyone here. Kidding aside if you follow the recipe to a T (or e) you will get a dessert with beautiful red filling and a crisp cookie like topping. 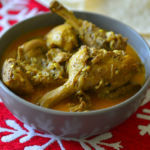 What is more, the recipe does not require any planning ahead of time ! 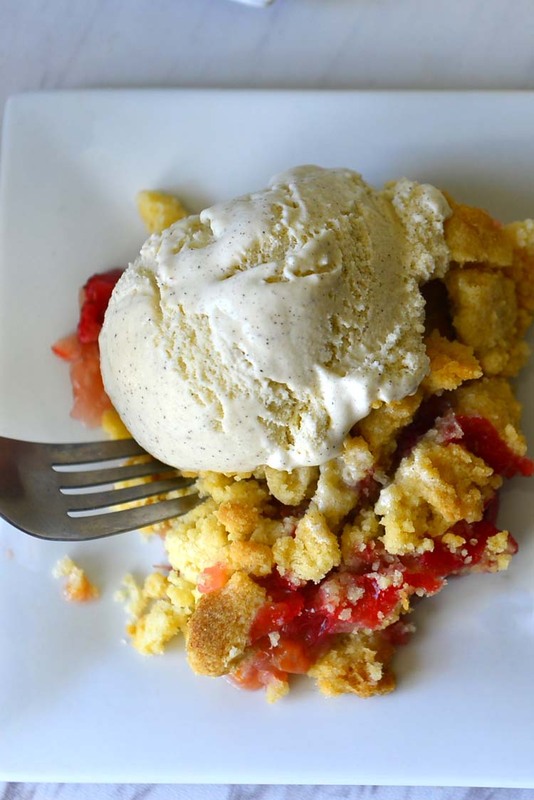 This is an easy recipe, easy as a crumble. Try it and you will see it too . 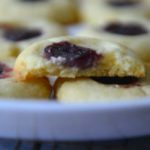 Sweet and tart filling and a crispy almost cookie like topping, this dessert is easy to make and bubbling with flavors. Wash and dry the strawberries and rhubarb. Peel off the outer skin off the rhubarb stalks (I often leave some on ) and Chop into ½ inch tick pieces. Cut the strawberries into pieces of the same size. Mix cornstarch , salt and sugar. 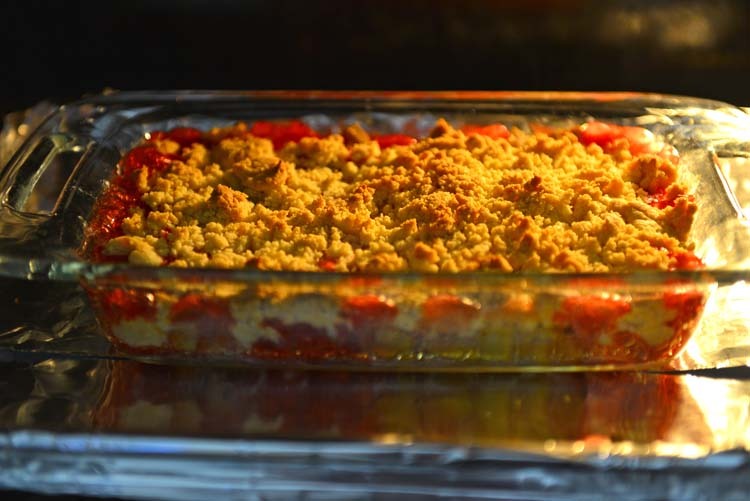 Place the rhubarb and strawberries in the baking dish. Sprinkle the cornstarch mix over the fruits and toss to coat. Place 1 and ½ C flour in a blender bowl , add sugar, baking soda and salt to it . Pulse it once to combine. Add vanilla and the softened butter to it and pulse a few times until the mix begins to come together. Tip the bowl over the fruits and roughly spread the topping all over the fruits. 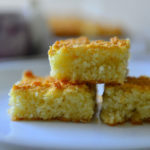 Transfer to the preheated oven and bake for around 40 minutes or until the fruits turn bubbly and the crumb topping begins to brown. Remove from the oven and cool on the counter for 10 to 15 minutes. Serve warm with vanilla ice cream / whipped cream . 🙂 . It is a indeed a treat ! You grow your own ? How lucky! I have to find out if I can grow these in our backyard ! The fresh tender ones have so much more flavor. Ice cream , Yes !!! Absolutely !!! 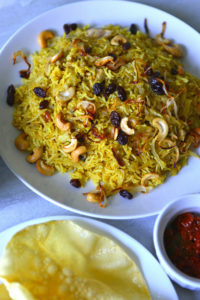 Chilled desserts are always welcome in South India and I would love to try this recipe but we don’t get Rhubarb here sadly. You are right – I haven’t seen them even in the high end super markets in B’lore. 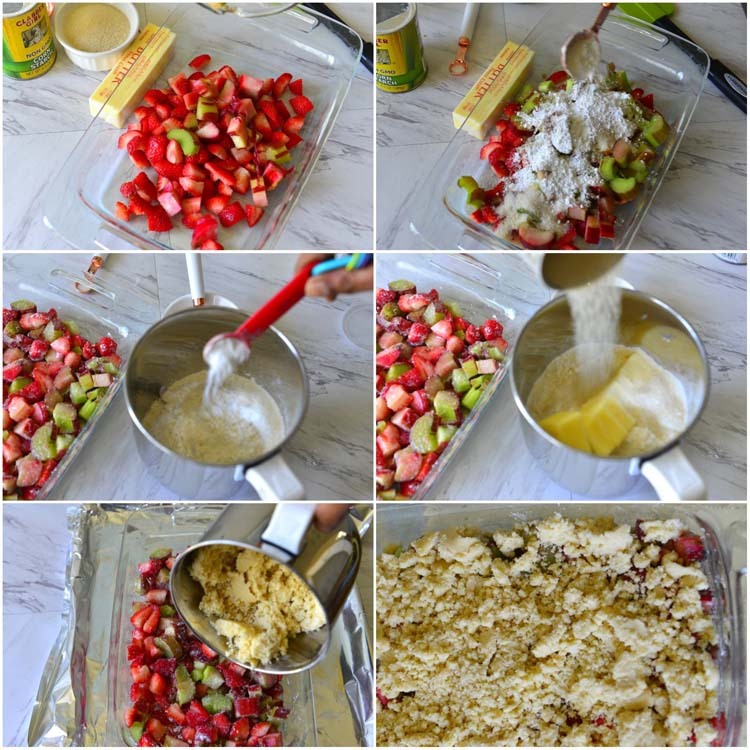 Strawberry crumble will be delicious too – you may have to add a little more corn starch into the fruit mix to adjust for the water content.